US reversed flag patch with velcro backing. The patch is 2x3 inches in size and is embroidered over the whole surface. 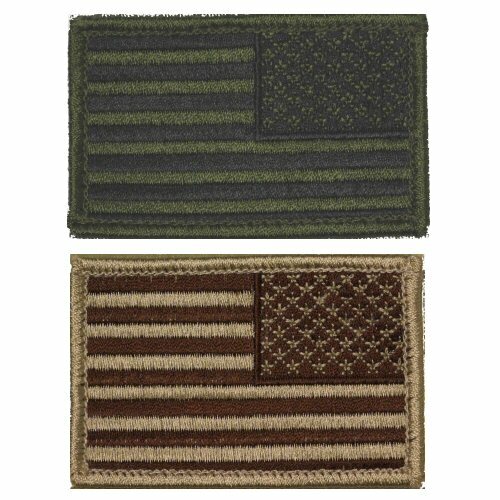 This flag patch is usually worn on the right arm. These come ready with velcro (hooked side) sewn onto the back. Please note that the price below is for ONE patch only. Available options are: OD (Olive Drab), Tan .